The property is built on a slope and is therefore split level. 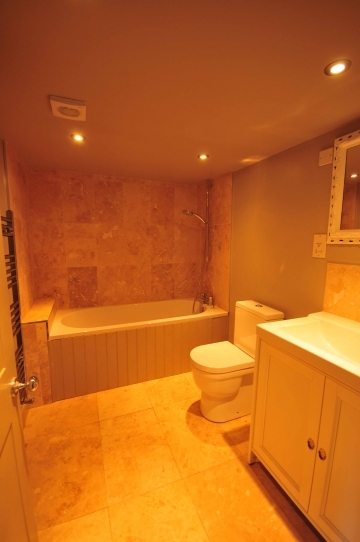 The master bedroom and ensuite are "downstairs", the additional three bedrooms are upstairs. 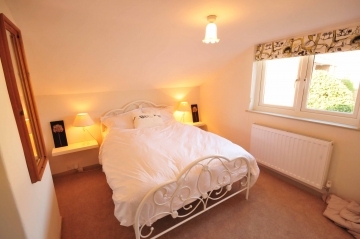 All the bedrooms have luxury, memory foam topped mattresses and Egyptian cotton bedlinen. 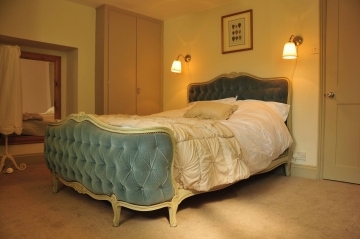 Master bedroom: Beautiful vintage French wooden and upholstered double bedstead. Large room with window on to the street at the front of the property and a further window to the side. Plenty of cupboard and hanging space. Bedroom 3: Beautiful vintage white iron single bed in smallest room to the side of the property with built in cupboard space. There are two 4 car parking bays immediately on the street outside and a further car park approximately 100 metres down the road. Additional parking can be found with ease throughout Framlingham. Bedlinen and towels (but not beach towels) are provided. 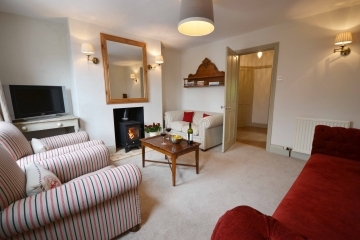 The property is centrally heated and has a woodburning stove in addition. A travel cot and highchair are kept at the property along with a selection of board games and books.